Welcome to the Psychology of Exercise, Health, and Physical Activity Laboratory (PEHPA Lab). The PEHPA Lab is overseen by Dr. Mark Beauchamp, who is a Professor in the School of Kinesiology at The University of British Columbia and a Michael Smith Foundation for Health Research Scholar (Population Health). Drawing from diverse disciplines (that include behavioural medicine, organizational psychology, and education) our program is concerned with (a) understanding both barriers to, and facilitators of, physical activity behaviour across the age spectrum, and (b) developing conceptually-sound evidence-based interventions that are cost-effective and sustainable. For information about the GOAL Trial, please see goal.kin.educ.ubc.ca..
Transformational leadership: Applications to teaching and parenting behaviours in relation to adolescent health promotion. Teamwork in sport and the workplace. Is variety the spice of an active and health life? Mark received his undergraduate degree from the University of Exeter (UK), a Master's from Queen's University (Canada) and his Ph.D. from the University of Birmingham (UK). His research primarily focuses on the social psychology of groups within health, exercise, and sport settings. He has published his research in a variety of journals such as the Annals of Behavioral Medicine, Health Psychology, and the Journal of Sport and Exercise Psychology. He is a Chartered Psychologist and Associate Fellow of the British Psychological Society (BPS). He is on the editorial boards for several journals including Sport, Exercise and Performance Psychology (APA), the Journal of Sport and Exercise Psychology, and Sport and Exercise Psychology Review (BPS). As an athlete, Mark played rugby for Exeter, Bristol, and Stourbridge rugby clubs and represented England Universities. He is married to Karrie and has a young son, Ben (14 years old) and daughter, Lily (10 years old). He enjoys traveling, skiing, photography, and running (having completed four marathons to date). Ryan received his undergraduate degree from Michigan State University and his PhD from the University of Newcastle (Australia). 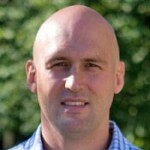 Prior to working at UBC, Ryan was a Postdoctoral Research Associate at the Australian Catholic University. 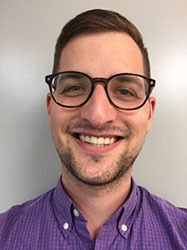 His research aims to understand the importance of motor skill development across the lifespan, determine how to best assess motor skills and identify the extent to which one’s competence in motor skills affect physical activity levels. Outside of work, Ryan enjoys traveling, hiking and a good cup of coffee. Ferkel, R.C.. Allen, H.R., True, L. and Hulteen, R.M. (2018). Split-Week Programming for Secondary Physical Education: Inducing Behavioral Change for Lifetime Fitness. Journal of Physical Education, Recreation and Dance, 89(8), 11-22. Hulteen, R.M., Morgan, P.J., Barnett, L.M., Robinson, L.E. Barton, C., Wrotniak, B., and Lubans, D.R. Initial Predictive Validity of the Lifelong Physical Activity Skills Battery. (in press). Journal of Motor Learning and Development. Hulteen, R.M., Morgan, P.J., Barnett, L.M., Stodden, D.F. and Lubans, D.R. Development of Foundational Motor Skills: A Conceptual Model for Physical Activity Across the Lifespan. (2018). Sports Medicine, 48(7), 1533-1540. Hulteen, R.M., Morgan, P.J., Barnett, L.M., Barton, C., Wrotniak, B., Robinson, L.E. and Lubans, D.R. (in press). Development, Content Validity and Test-Retest Reliability of the Lifelong Physical Activity Skills Battery in Adolescents. Journal of Sports Sciences, 36(20), 2358-2367. Cohen, K.E., Morgan, P.J., Plotnikoff, R.C., Hulteen, R.M. and Lubans, D.R. Psychological, social and physical environmental mediators of the SCORES intervention on physical activity among children living in low-income communities. (2017). Psychology of Sport & Exercise, 32, 1-11. Nathan, N., Cohen, K., Beauchamp, M. W.L., Hulteen, R.M., Babic, M. and Lubans, D.R. Feasibility and Efficacy of the Greater Leaders Active StudentS (GLASS) Program on Improving Children’s Fundamental Movement Skills: A Pilot Study. (2017). Journal of Science and Medicine in Sport, 20(12), 1081-1086. Hulteen, R. M., Smith, J.J., Morgan, P.J., Barnett, L.M, Hallal, P.C., Colyvas, K. and Lubans, D.R. (2017). Global Sport and Leisure-Time Physical Activities Participation: A Systematic Review and Meta-Analysis. Preventive Medicine, 95, 14-25. Johnson, T.M., Ridgers, N.D. Hulteen, R.M., Mellecker, R.R. and Barnett, L.M. (2016). 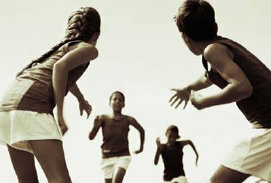 Does Playing a Sports Active Video Game Improve Young Children’s Ball Skill Competence? Journal of Science and Medicine in Sport, 19(5), 432-436. Hulteen, R.M., Lander, N.J., Morgan, P.J., Barnett, L.M., Robertson, S.J. and Lubans, D.R. (2015). Validity and Reliability of Field-Based Measures for Assessing Movement Skill Competency in Lifelong Physical Activities: A Systematic Review. Sports Medicine, 45(10), 1443-54. Hulteen, R.M., Johnson, T.M., Ridgers, N.D., Mellecker, R.R. and Barnett, L.M. (2015). Children’s Movement Skills When Playing Active Video Games. Perceptual and Motor Skills, 121(3), 1-24. Geri is a CIHR Vanier Scholar in the third year of her PhD. Her research interests primarily involve developing and evaluating cost- and time-effective intervention strategies to promote physical activity. Specifically, Geri is interested in the dynamic role that affect plays in physical activity behaviour change. Geri completed her undergraduate degree in Psychology at the University of Victoria, and then moved to UBC and completed her Master's in the PEHPA lab. In addition to her research, Geri has a keen interest in teaching. She is involved in various teaching roles in the School of Kinesiology including, a teaching assistant for KIN 371: Statistics in Kinesiology, an instructor for the Vancouver Summer Program, and a coordinator for the Kinesiology TA Professional Development program. In her free time, Geri can usually be found ‘practicing what she preaches’ either on her yoga mat unwinding or outside exploring all that the amazing West Coast has to offer. She also enjoys getting stuck into a good book, binge watching HGTV/Food Network, and checking countries off her Bucket List. Ruissen, G. R., & Beauchamp, M. R. (in press) Understanding and promoting physical activity adherence. In Anshell, M. (ed). APA Handbook of Sport and Exercise Psychology. Washington, D.C., American Psychological Association. Ruissen, G. R., McEwan, D., & Beauchamp, M. R. (2017). Persuasive Leadership in Sport and Exercise: Taking a Closer Look under the Hood. In, Jackson, B., Dimmock, J., & Compton, J. (eds). Persuasion and Communication in Sport, Exercise, and Physical Activity. New York, NY: Routledge; pgs. 170-185. Jeff Sauvé joined the PEHPA lab in the fall of 2016 to complete his Ph.D. under the leadership of Dr. Beauchamp. Jeff is the CEO of Field Hockey Canada, a role he has fulfilled since 2013. 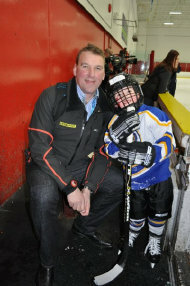 Working in the sports industry since 2000, Jeff has previously served as the CEO of a Provincial Sport Organization (British Columbia Rugby Union) Manager of Marketing and Communications for a National Sport Organization (Rugby Canada) and in various capacities within ice hockey, including a consultant role with his beloved Toronto Maple Leafs. With the Canadian Olympic Committee, Jeff is a session member and sits on the Team Selection Committee as well as the Sport Strategies and Partner Relations Committee. He also serves as the Co-Chair of the Canadian Summer Sport Caucus and as a Director for the Canadian Team Sport Coalition. Jeff is a graduate of Queen's University [Bachelor of Arts (BA) and Bachelor Physical Health and Education (BHPE)] where he competed for the Golden Gaels in ice hockey and lacrosse. Jeff holds a Master of Human Kinetics (MHK), Sport Management from the University of Windsor and a certificate in Strategic Leadership from the University of British Columbia's Sauder School of Business. In his spare time Jeff enjoys life's great adventures with his wife Sara, and their young children Griffin and Ellysen. Colin completed his Bachelor of Science in Health Sciences, and a Master of Science in Kinesiology (with a specification in sport psychology) at Brock University. Colin’s Master’s thesis examined Canadian university sport coaches’ awareness, use, and knowledge of Motivational Interviewing (MI; Miller & Rollnick, 2013). Colin’s Master’s research was funded by an Ontario Graduate Scholarship, and is the recipient of a 4-year fellowship through UBC. Colin is now in the first year of his PhD studies, and his research interests revolve around human motivation, and the integration and adaption of motives by athletes and exercisers. Specifically, Colin is interested in the potential application MI can have for athletic coaches attempting to motivate their athletes to make behavioural changes associated with athletic success. In his free time, Colin enjoys playing golf and hockey, running, reading, and keeping up with his favourite hockey team, the Toronto Maple Leafs. Beauchamp, M R., McEwan, D., & Wierts, C. M. (in press). Psychology of group dynamics: Key considerations and recent developments. In G. Tenenbaum & R. C. Eklund (Eds. ), Handbook of sport psychology (4th ed.) Hoboken, NJ: John Wiley & Sons, Inc.
Katrina completed her Bachelor of Arts (with Distinction) in Psychology at the University of Calgary. She is currently a recipient of a CGS SSHRC Masters award and is interested in teamwork and group dynamics in sport settings. 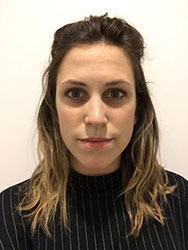 She is a TA for KIN 161 (Leisure and Sport in Society) and KIN 365 (Foundations of Coaching) and is conducting research on genetic essentialism and behaviour change. In her free time, Katrina enjoys cycling, hiking, live music, and good wine. Kaitlin completed her Bachelor of Arts in Sociology at the University of British Columbia. During her undergrad Kaitlin competed on the UBC Thunderbirds women’s volleyball team. Afterwards she received a Diploma in Guidance Studies from UBC’s Department of Education. She is currently a TA for KIN 161 (Leisure and Sport in Society). Her research interests include exploring social cognitive theory and self-efficacy in sport settings. Outside the lab, Kaitlin can be found volunteering at the UBC Wellness Centre and coaching high school and club volleyball. 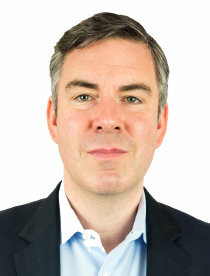 Desmond McEwan (PhD., 2013-2017). Thesis title: “Teamwork in sport”. Funding from the Social Sciences and Humanities Research Council of Canada. Position on graduation: SSHRC Banting post-doctoral fellow, University of Victoria. Ben Sylvester (Ph.D., Sept 2011 – Jan 2016). Thesis title. “Is variety the spice of (an active) life”. Funding from the Social Sciences and Humanities Research Council of Canada. Position on graduation: SSHRC Post-doctoral fellow, University of Toronto. Megan Kaulius (MA, Sept 2013 – June 2016). Thesis title. “Prosocial exercise: Does exercising for charity result in greater well-being and physical activity?”. Position on graduation: Program Manager, Health and Wellness. Blue Cross Canada. Geri Ruissen (MA, Sept 2013 – June 2016). Thesis title. “Affective judgements mediate the effects of an affective mental contrasting intervention on physical activity behaviour”. Funding from Canadian Institutes of Health Research. 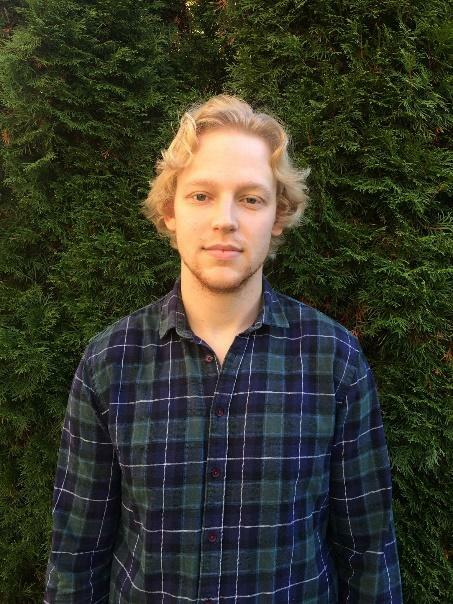 Position on Graduation: PhD Student PEHPA Lab, School of Kinesiology, UBC. 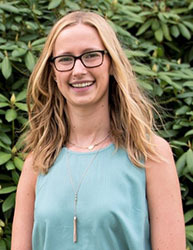 Svenja Wolf (Post-doctoral fellow, August 2014 – August 2015). Position on completion: Post-doc at Department of Psychology, University of Amsterdam, Netherlands. Current position: Assistant Professor, Department of Psychology, University of Amsterdam, Netherlands. Justine Dowd (Ph.D., Jan 2011 – May 2014). Thesis Title. “The need to belong and health promotion”. Funding from the Canadian Institutes of Health Research. Position on graduation: Post-doctoral fellow, University of British Columbia, Okanagan. Current position: CIHR Post-doctoral fellow, Faculty of Kinesiology, University of Calgary. 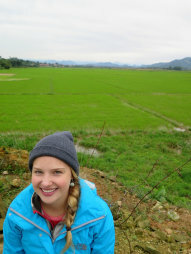 Samantha Harden (Post-doctoral fellow, Sept 2013 – August 2014). Position on completion and current position. Assistant Professor, Dept. of Human Nutrition, Foods, and Exercise, Virginia Tech, Virginia, USA. Yan Liu (Post-doctoral fellow, Jan-Sept 2012). Position on completion: Curriculum Fellow, Harvard Medical School, Harvard University, USA. Current position: Assistant Professor, Educational and Counseling Psychology, UBC. Luc Martin (Post-doctoral fellow, Jan-Sept 2012). Position on completion and current position: Assistant Professor, University of Lethbridge, Canada. Current position: Assistant Professor, School of Kinesiology and Health Sciences, Queens University. Alex Wilson, (MSc, Sept 2010 – Nov 2012). Thesis title: “The role of relational efficacy beliefs on adolescent’s leisure time activity.” Position on graduation: Action Schools! B.C. Support Team, Vancouver, B.C., Canada. Lisa Perlmutter (MSc, Jan 2010 – April 2012) Thesis Title. ” Transformational leadership behaviours: The development of moral elevation and trust”. Funding from the Social Sciences and Humanities Research Council (SSHRC) of Canada. Position on graduation: Sport Psychology Consultant (Intern) IMG Academies, Florida (USA). Current position: Mental Performance Consultant. Katie L. Morton (Ph.D., Sept 2006 – July 2011). Thesis Title: “The application of transformational leadership theory to parenting and adolescent health promotion”. Funding from an Anne and John Brown Fellowship in Diabetes and Obesity Related Research. Position on graduation and current Position: Research Associate, University of Cambridge, UK. Jess Bourne (M.A., Sept 2009-Sept 2011). Thesis Title: “Transformational teaching and relational efficacy beliefs among adolescents: A prospective observational study”. Position on graduation: Research co-ordinator/manager: Exercise and Health Behaviour Lab, University of British Columbia (Okanagan). Current Position: Doctoral Student, Centre for Exercise, Nutrition and Health Sciences, University of Bristol, UK. William L. Dunlop (M. A., Sept 2007 – August 2009). Thesis Title: “Perceptual similarity, cohesion, and exercise program adherence: A prospective observational study”. Funding from the Social Sciences and Humanities Research Council (SSHRC) of Canada and Michael Smith Foundation for Health Research (MSFHR). Position on graduation: Doctoral program, Developmental Psychology, UBC. Current Position: Assistant Professor, University of California, Riverside, USA. Sharon E. Keith (M.A., Sept 2007 – August 2009). Thesis title: “Transformational teaching and affect among primary school children”. Funding from Social Sciences and Humanities Research Council (SSHRC) of Canada. 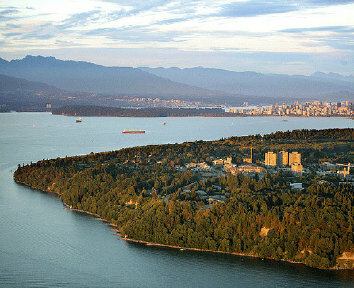 Position on graduation: Teacher’s College, UBC. Current position: School teacher. Ben Jackson (Ph.D., Oct 2004 – April 2008). Thesis title: “Efficacy beliefs in sporting dyads: A mixed methods approach”. Funding from University of Leeds doctoral scholarship. Position on graduation: Post-doctoral fellow, University of Western Australia, Australia. Current Position: Assistant Professor, University of Western Australia, Australia. Amy Welch (Ph.D., Oct 2003 – August 2007). Thesis title: “Variability in the affective exercise experience of habitually inactive women: Exploring the role of cognitive appraisal during exercise”. Funding from University of Leeds doctoral scholarship. Position on graduation: Assistant Professor, Iowa State University, USA. Current position: Associate Professor, Johnson State College, Vermont, USA. Puterman, E., Weiss, J, Beauchamp, M. R., Mogle, J., & Almeida, D. (2017). Physical activity and negative affective reactivity in daily life. Health Psychology, 36(12):1186-1194. doi: 10.1037/hea0000532. Beauchamp, M. R., Harden, S.,M, Wolf, S. A., Rhodes, R. E., Liu, Y., Dunlop, W. L., Schmader, T., Sheel, A. W., Zumbo, B. D., Estabrooks, P. A. (2015). GrOup based physical Activity for oLder adults (GOAL) randomized controlled trial: Study protocol. BMC Public Health, 15 (295). doi: 10.1186/s12889-015-1909-9. Rhodes, R. E., Beauchamp, M. R., Conner, M., deBruijn G, Latimer-Cheung, A., & Kaushal, N. (2014). Are mere instructions enough? Evaluation of four types of messaging on community depot recycling. Resources, Conservation and Recycling, 90, 1-8. Dunlop, W. L., & Beauchamp, M.R. (2013). Birds of a feather stay active together: A case study of an all-male older adult exercise program. Journal of Aging and Physical Activity, 21(2), 222-232. Jackson, B., Taylor, I, Myers, N. & Beauchamp, M. R. (2012). Relational efficacy beliefs in physical activity classes: A test of the tripartite model. Journal of Sport and Exercise Psychology, 34(3), 285-304. Cope, C. J., Eys, M. A., Beauchamp, M. R., Schinke, R. J., & Bosselut, G. (2011). Informal roles on sport teams. International Journal of Sport and Exercise Psychology, 9(1),19-30. Dunlop, W. L., Beatty, D. J., & Beauchamp, M. R. (2011). Examining the influence of other-efficacy and self-efficacy on personal performance. Journal of Sport and Exercise Psychology, 33(4), 586-593. Morton, K. L., Barling, J., Mâsse, L., Rhodes, R., Zumbo, B. D., & Beauchamp, M. R. (2011). The application of transformational leadership theory to parenting: Questionnaire development and implications for adolescent self-regulatory efficacy and life satisfaction. Journal of Sport and Exercise Psychology, 33(5), 688-709. Welch, A. S., Hulley, A., & Beauchamp, M.R. (2010). Affect and self-efficacy responses during moderate-intensity exercise among low-active women: The effect of cognitive appraisal. Journal of Sport and Exercise Psychology, 32(2), 154-175. Beauchamp, M.R., McEwan, D., & Wierts, C. (in press). Psychology of group dynamics: Key considerations and recent developments. In Tenenbaum, G., & Eklund, R. C. (Eds.). Handbook of Sport Psychology (4th ed.). Hoboken, NJ: Wiley. Jackson, B., Beauchamp, M.R., & Dimmock, J. (in press). Efficacy beliefs in physical activity settings: Contemporary debate and unanswered questions. In Tenenbaum, G., & Eklund, R. C. (Eds.). Handbook of Sport Psychology (4th ed.). Hoboken, NJ: Wiley. Hodge, K., Beauchamp, M. R., & Fletcher, D. (in press). Group and team dynamics in sport, exercise, and performance. In A. Mugford & G. Cremades (Eds). Sport, exercise, and performance psychology: Theories and applications. New York: Routledge/Psychology Press. Ruissen, G. R., & Beauchamp, M. R. (in press). Understanding and promoting physical activity adherence. In Anshell, M.. (Ed). APA Handbook of sport and exercise psychology. Washington, D.C., American Psychological Association. Beauchamp, M. R., Jackson, B., & Loughead, T. M. (2018). Leadership in physical activity contexts. In T. Horn & A. L., Smith (Eds). Advances in sport and exercise psychology (4th edition, pp. 151-170). Champaign, IL: Human Kinetics. Ruissen, J., McEwan, D., & Beauchamp, M. R. (2018). Persuasive leadership in sport and exercise: Taking a closer look under the hood. In Jackson, B., Dimmock, J., & Compton, J. (Eds). Persuasion and Communication in Sport, Exercise, and Physical Activity (pp. 170-185). New York: Routledge. Beauchamp, M. R., & Eys, M. A. (2016). Leadership in sport and exercise. In P.R.E. Crocker (Ed.). Sport and exercise psychology: A Canadian perspective (3rd ed., pp. 199-226). Toronto: Pearson. Jackson, B., Bray, S. R., Beauchamp, M. R., & Howle, T. C. (2015). The tripartite efficacy framework in physical activity contexts. In S.D. Mellalieu & S. Hanton (Eds). Contemporary advances in sport psychology: A review (pp. 120-147). New York: Routledge. Beauchamp, M.R. (2014). Leadership in sport: Transactional and transformational. In R. C. Eklund & G. Tennenbaum (Eds.) Encyclopedia of sport and exercise psychology (Vol 1, pp. 416-419). Thousand Oaks, CA: Sage Publications. Beauchamp, M.R. & Dunlop, W. L. (2014). Social identity theory. In R. C. Eklund & G. Tennenbaum (Eds.) Encyclopedia of sport and exercise psychology (Vol 2, pp. 692-694). Thousand Oaks, CA: Sage Publications. Beauchamp, M.R. & Dunlop, W. L. (2014). Self-categorization theory. In R. C. Eklund & G. Tennenbaum (Eds.) Encyclopedia of sport and exercise psychology (Vol 2, pp. 619-622). Thousand Oaks, CA: Sage Publications. Beauchamp, M.R. & Martin, L.J. (2014). Leadership in sport: Trait perspectives. In R. C. Eklund & G. Tennenbaum (Eds.) Encyclopedia of sport and exercise psychology (Vol 1, pp. 415-416). Thousand Oaks, CA: Sage Publications. Beauchamp, M.R. & Martin, L.J., (2014). Leadership in sport: Situational and contingency approaches. In R. C. Eklund & G. Tennenbaum (Eds.) Encyclopedia of sport and exercise psychology (Vol 1, pp. 408-410). Thousand Oaks, CA: Sage Publications. Beauchamp, M. R., & Jackson, B., & Lavallee, D. (2014). Into the mix: Personality processes and group dynamics in sport teams. In Beauchamp, M. R., & Eys, M. A. (Eds). 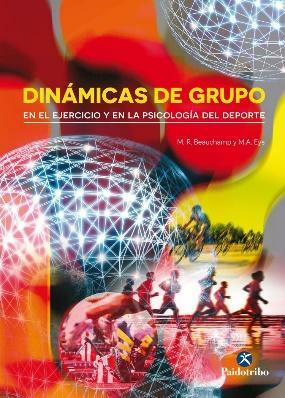 Group dynamics in exercise and sport psychology (2nd edition, pp. 21-37). New York: Routledge. Bruner, M.W., Dunlop, W. L., & Beauchamp, M. R. (2014). A social identity perspective on group processes in sport and exercise. In Beauchamp, M. R., & Eys, M. A. (Eds). 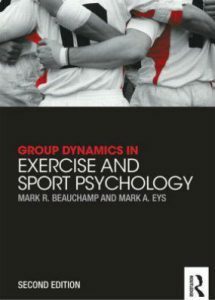 Group dynamics in exercise and sport psychology (2nd edition, pp. 38-52). New York: Routledge. Harwood, C.G, & Beauchamp, M. R., & Keegan, R. J. (2014). Group functioning through optimal achievement goals. In Beauchamp, M. R., & Eys, M. A. (Eds). Group dynamics in exercise and sport psychology (2nd edition, pp. 279-297). New York: Routledge. Martin, L.J., & Beauchamp, M.R. (2014). Conflict. In R. C. Eklund & G. Tennenbaum (Eds.) Encyclopedia of sport and exercise psychology (Vol 1, pp. 163-166). Thousand Oaks, CA: Sage Publications. Morton, K. L., Sylvester, B., Wilson, A. J., Lonsdale, C., & Beauchamp, M. R. (2014). Transformational leadership. In A. G. Papaioannou & D. Hackfort (Eds). Routledge Companion to sport and exercise psychology: Global perspectives and fundamental concepts (pp. 571-587). New York: Routledge. Students interested in pursuing a graduate degree or post-doctoral fellowship are encouraged to contact me directly at mark.beauchamp@ubc.ca.